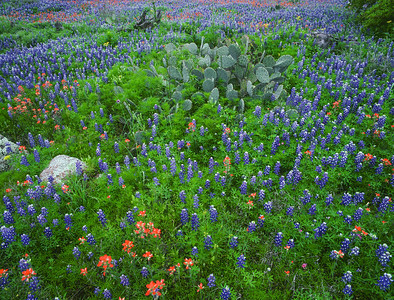 This shot was the cover of Texas Highways calendar in 2003. 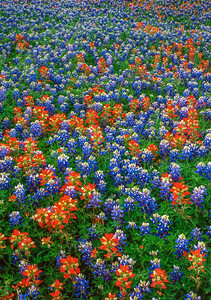 This image was the cover of Texas Highways magazine one April edition. 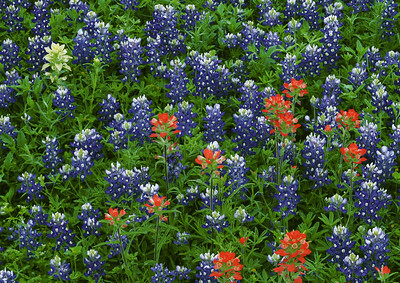 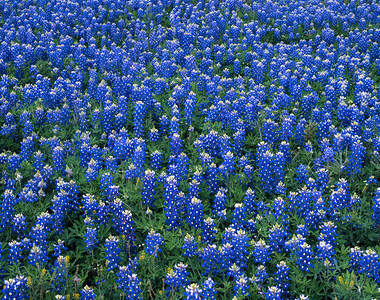 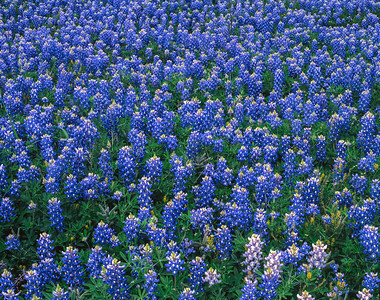 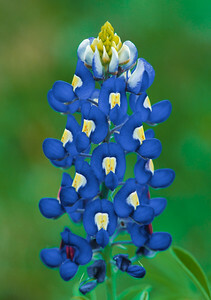 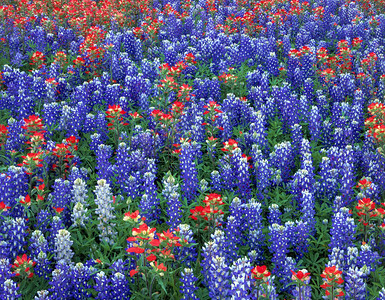 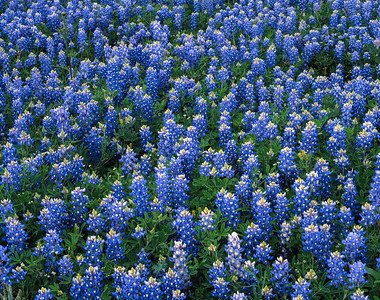 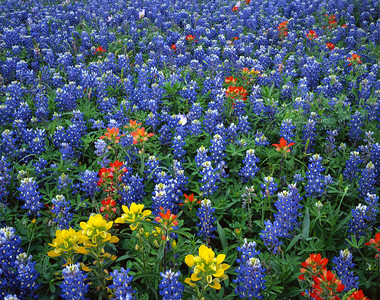 It features very high quality bluebonnets and Indian paintbrush with some lighter blue bluebonnets mixed in. 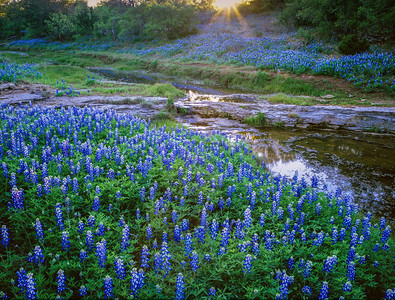 Shot in the Texas Hill Country. 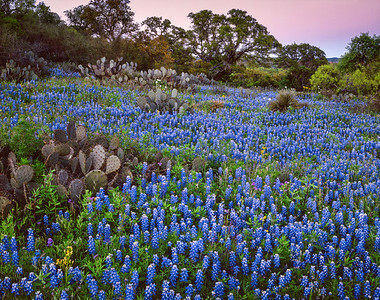 This photo was published in the Texas Highways calendar and features bluebonnets and cactus at dusk. 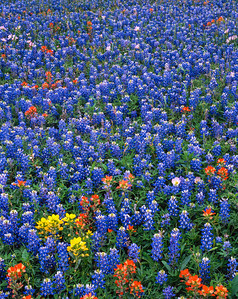 A nice group of bluebonnets stand together in the Texas Hill Country. 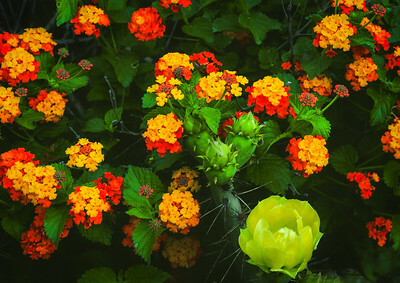 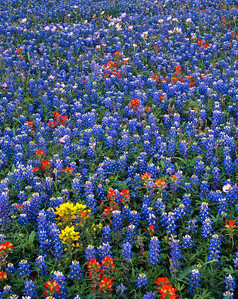 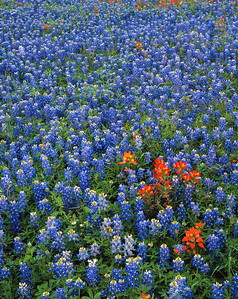 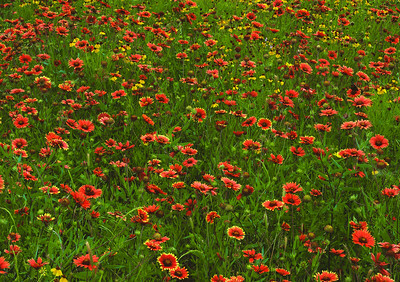 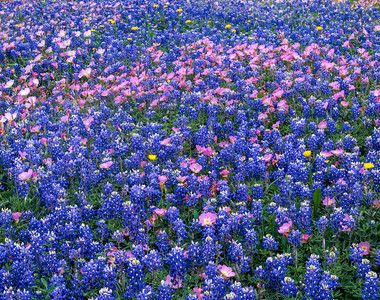 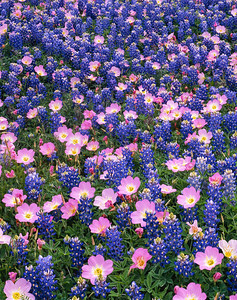 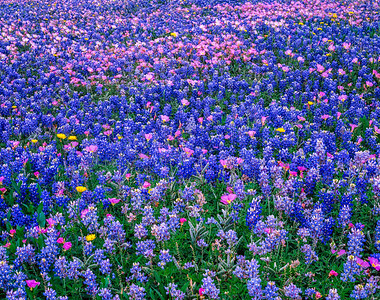 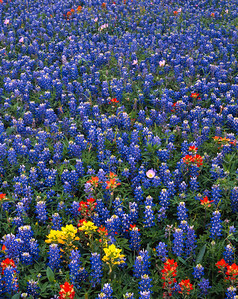 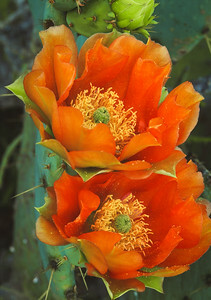 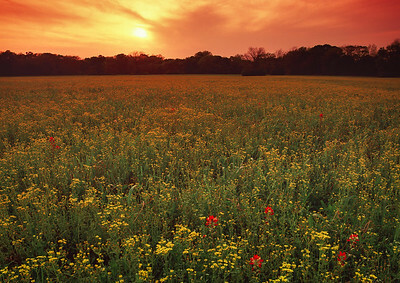 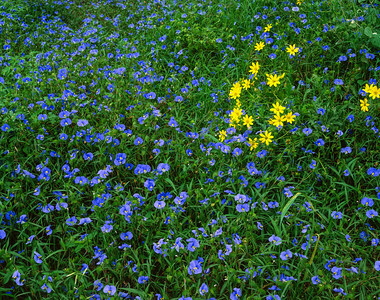 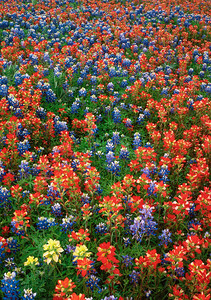 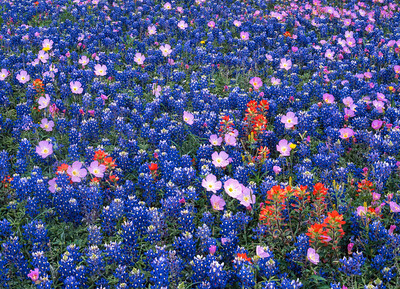 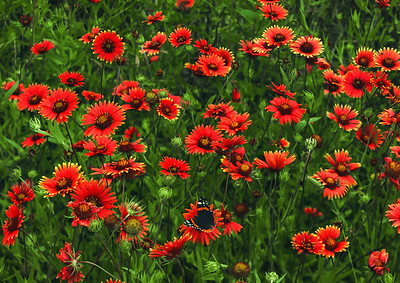 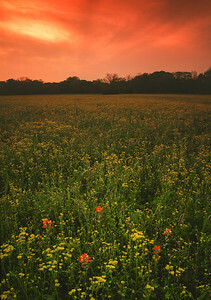 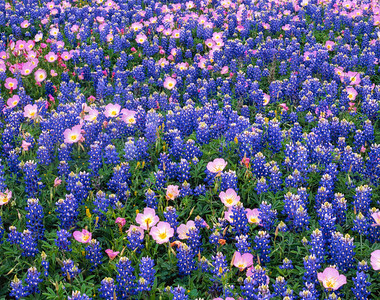 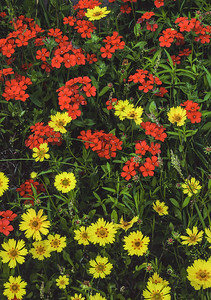 This photo was published in Texas Highways magazine due to the unique composition of flowers. 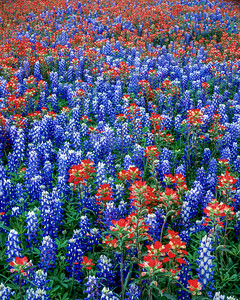 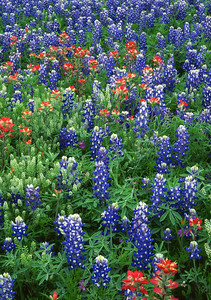 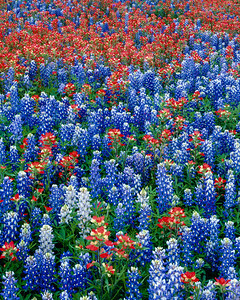 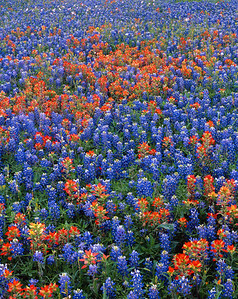 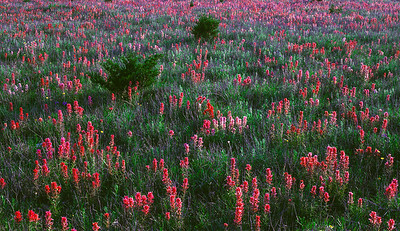 These bluebonnets and Indian Paintbrush were large and of extremely high quality. 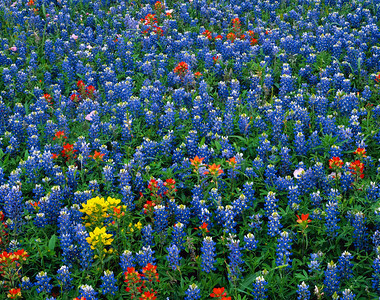 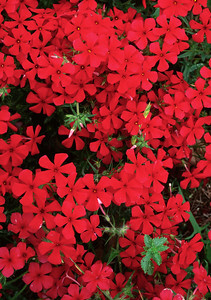 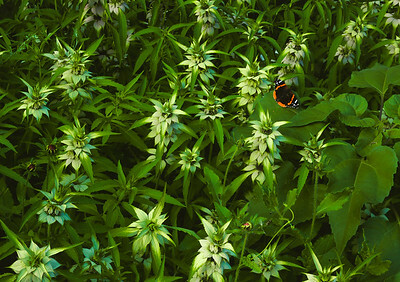 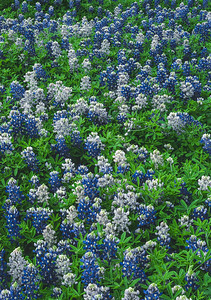 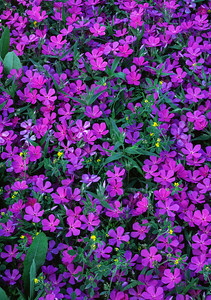 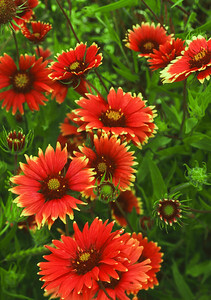 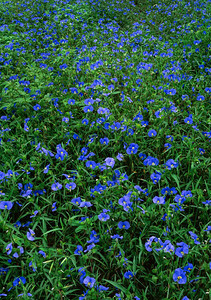 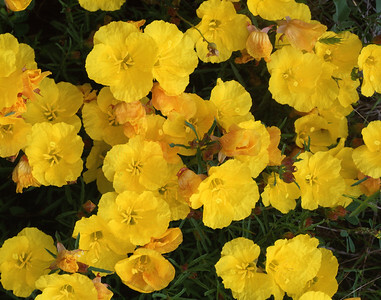 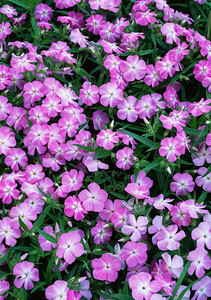 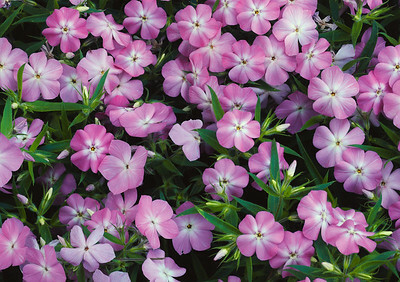 A vertical image of these same flowers was the cover of Texas Highways magazine one April. 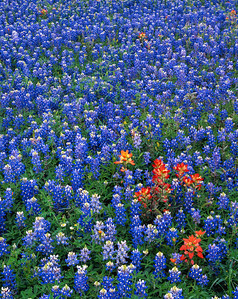 A favorite film image of mine. 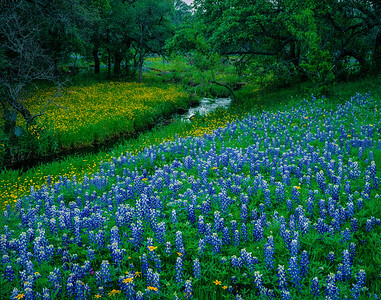 I was on crutches when I hiked down the creek about 100 yards to take this shot with a 4x5 camera.